Markham Infiniti | Blog | Markham Infiniti Reviews the 2017 QX80 Limited! Markham Infiniti Reviews the 2017 QX80 Limited! To be sure, there is a great deal about the 2017 Infiniti QX80 Limited that is worth getting excited about. In the range of luxury 3-row SUVs, the 2017 QX80 Limited offers one of the best cargo capacities in its class, few downsides, and some exceptional features. The QX80 Limited is ideal for those who want an SUV that incorporates good cargo space, features that are easy to understand and use, and a general sense of luxury that emphasizes comfort in the best way possible. There are several things about this vehicle that you will want to note in greater detail. View our inventory. 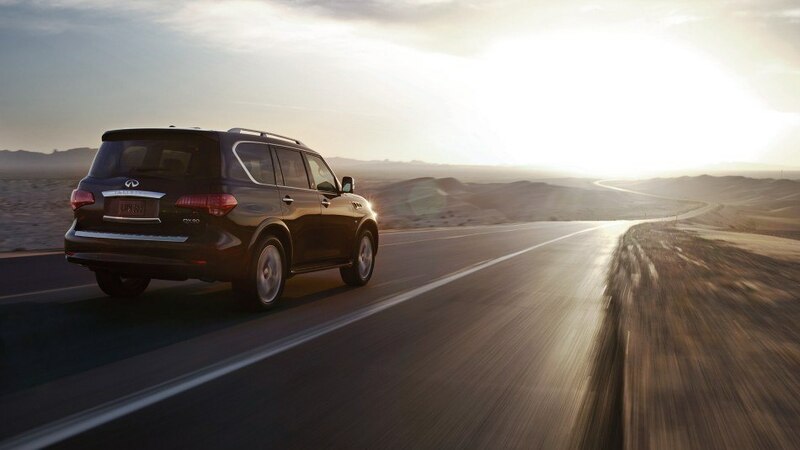 The standard Infiniti QX80 is quite impressive on its own. With the 2017 Infiniti QX80 Limited, you’re getting all of the baseline perks, plus an additional range of impressive, high-class features. Welcome lighting under rubber-capped stainless steel side steps is just the beginning. Unique exterior badges, darkened chrome trims, and the dark-chrome finish serve to make a good thing even better. Even from a distance, the 22-inch wheels and other aesthetic touches give the 2017 QX80 Limited an air of distinction. Three exclusive paint colours are available with the QX80 Limited. This includes Imperial Black, a gorgeous Mocha Almond, and the lovely Dakar Bronze. Moving along to the interior, there are additional features to check out. 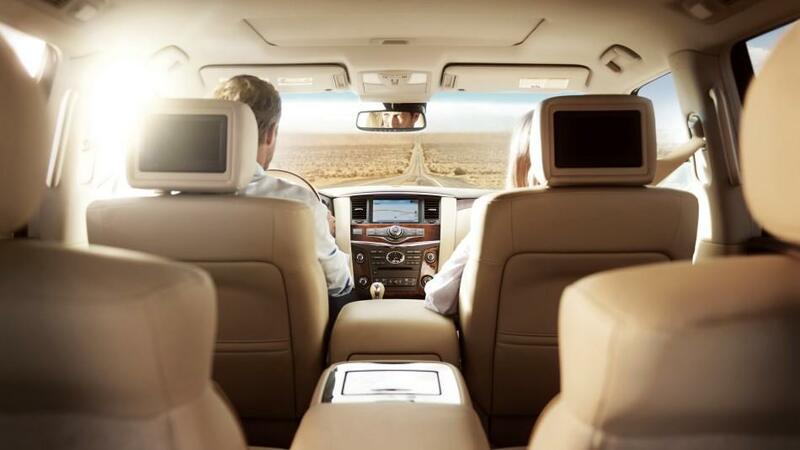 Again, with the Infiniti QX80, the emphasis is on creating a luxury SUV with everything you could ever want in the way of compelling features, which includes the interior. Featuring a contrasting silver stitching, the Truffle Brown leather-appointed seating is wonderfully comfortable and stylish. The matte finish and wood accents are two additional interior features. The infotainment system is remarkably easy to use. Even if this is your first time with an SUV of any kind, you should be able to figure out everything the 2017 Infiniti QX80 Limited has to offer. Of course, when it comes to SUVs, it stands to reason that you’re also going to want a large cargo size. 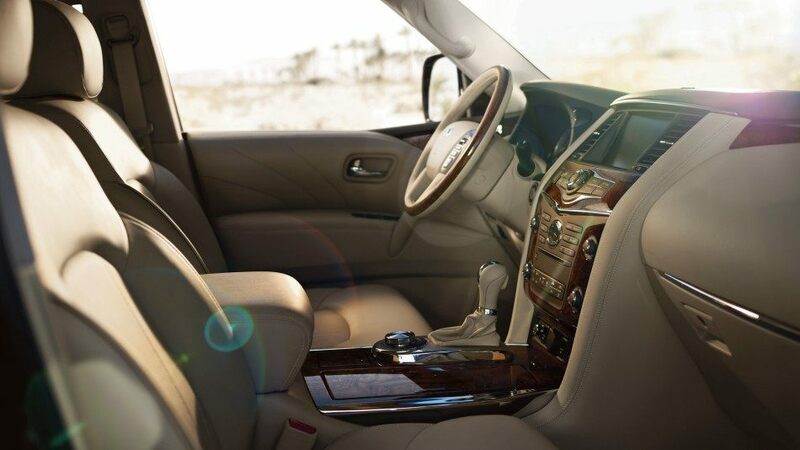 While the third row might strike you as a little on the cramped side (this problem is pretty much standard with SUVs), but the QX80 Limited still offers one of the most sizeable interiors to be found anywhere. Forward emergency braking with pedestrian detection is another excellent feature to appreciate on this SUV. 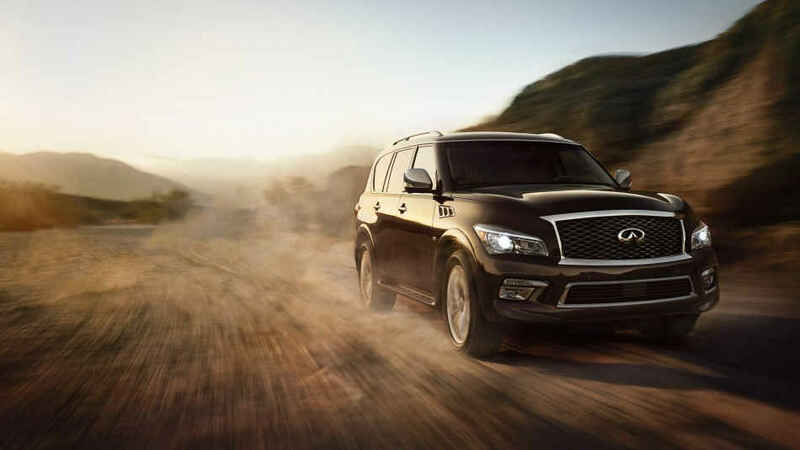 The QX80 Limited is well worth your look. Overall, it is an outstanding example of luxury SUVs. If you’re in the Toronto area, then we invite you to book a test drive at Markham Infiniti today! View the 2017 QX80 Limited on Infiniti Canada.